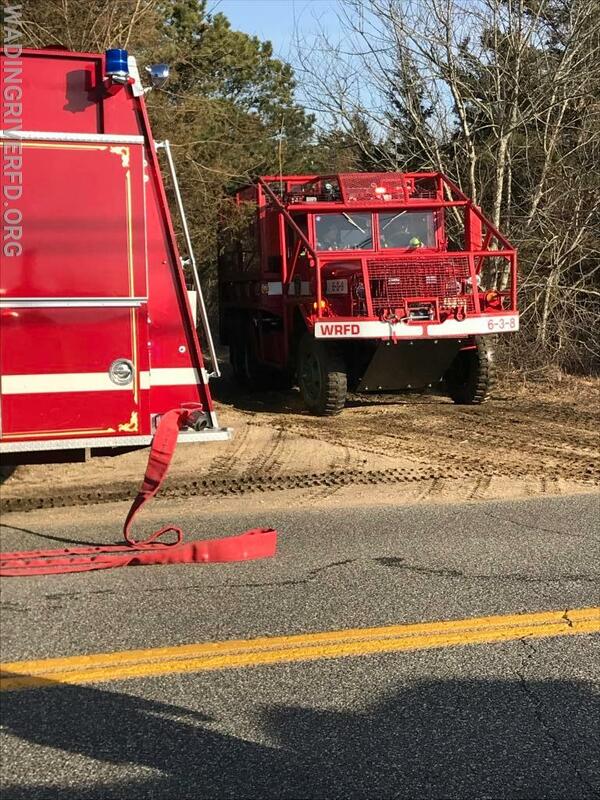 On Saturday February 2, 2019 at approximately 1418hrs the Department responded to the wooded area east of Freshpond Ave. Calverton to assist the Riverhead Fire Dept. 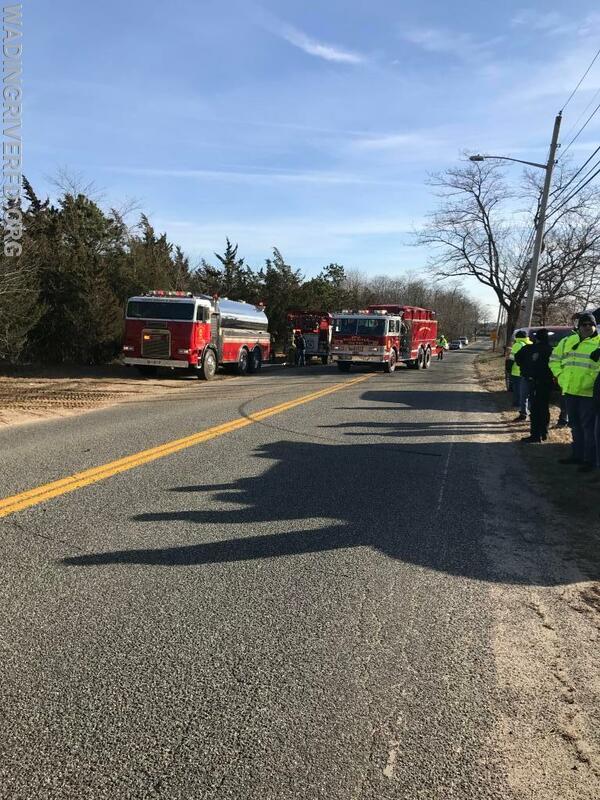 with the extinguishment of a large Brush Fire spreading rapidly due to high winds. 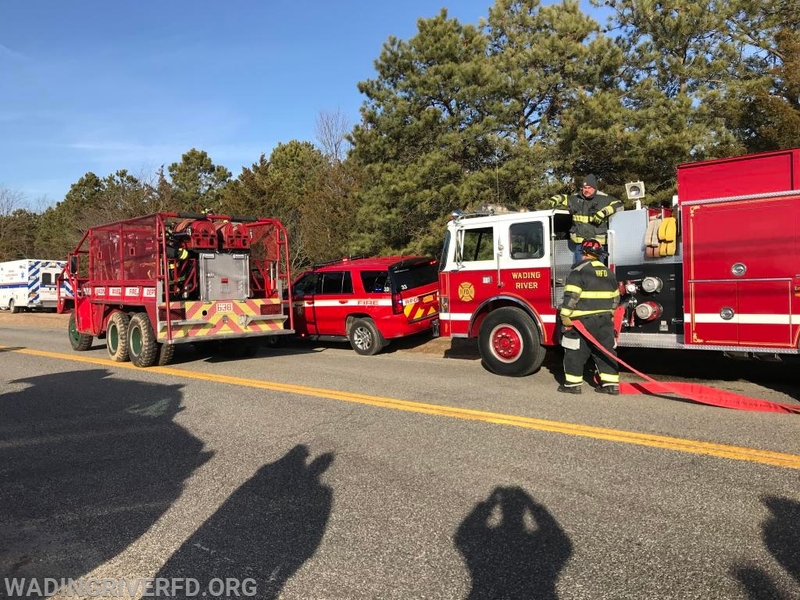 Upon arrival, Brush Truck 8 and 9 entered the woods and assisted with the containment. At the completion of the incident no injures were reported and all units were back in service at 1546hrs.